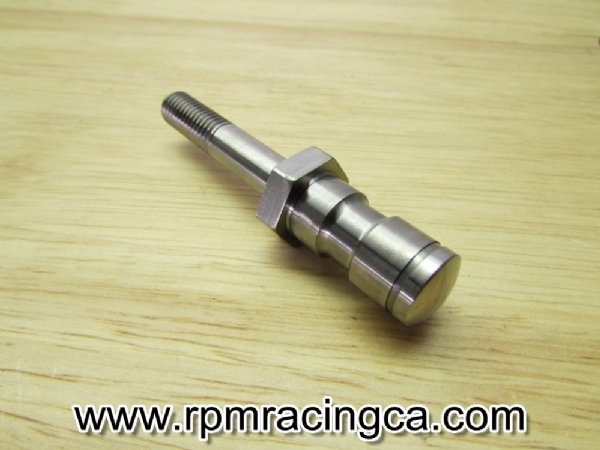 RPM has stepped up to meet the demand of those who have broken the shifter pivot bolt for the beloved FJ1100/1200as well as the early model owners looking to reduce foot peg vibrations. Yamaha has discontinued this bolt and left many to try and figure out what to do when they break one. RPM has now manufactured a stainless steel bolt that has been fully tested and proven. The bolt has been manufactured for use on all models of the FJ. The design considerations also included the fact that early FJ owners can use the bolt to update their foot peg mounting. The later model FJ's use the smaller diameter headed bolt and rubber backed washers to absorb vibrations. Now, with this bolt all FJ owners can obtain vibration reduced foot pegs for a more enjoyable ride.